NEW YORK, April 16, 2019 (GLOBE NEWSWIRE) -- When the original Datsun Z debuted in 1969, it was a revelation for the automotive world. To celebrate the 10th anniversary of the first Z, Nissan released a special edition 280ZX model with a limited production run. The success of previous Z cars opened the opportunity to equip 280ZX models with upscale materials such as leather seats and hi-fi stereos – a departure from the sporty yet economical approach of the initial 240Z. 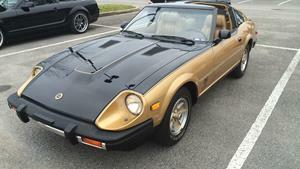 With only 3,000 made, the 280ZX 10th Anniversary Edition is today considered a highly collectible car.